As much as I hate to admit it, I'm not very girly. Yes, I'm one of those tomboys who would prefer to play Dungeons and Dragons or an MMO then get all dolled up. When I do decide I want to look nice though, I go all out. The biggest problem I have is that sometimes I'm out of the loop when it comes to the latest beauty products. Even worse, I can't imagine anything worse than going through a store and looking at different types of makeup. With how clueless I am, it usually ends in a complete meltdown for my debit card, leaving me with a lot of makeup I may or may not even like. When I found out there were beauty subscription boxes, I was all about it. What is better than getting the beauty products I need sent right to my door? Even better, I could experiment with different products to see if they were right for me before buying a large amount of makeup. Wanting to learn more, I reached out to Beauty Box 5, one of the most well known beauty subscription boxes out there. They didn't just get back with me, but allowed me to review their recent box for free! Like many other subscription boxes, Beauty Box 5 allows you to experiment with a variety of different products, letting you see if the products is right for you before you buy a full size version of the product. Each month, this beauty subscription box service sends out a box filled with 4 to 5 products. These products are a mix of makeup, skin care products, hair care products, fragrances and a few other surprises! Out of all the products in the Beauty Box 5, these have to be my favorite. These cleaning clothes help you de-stress by not only cleaning your skin, but allowing you to massage away your worries. As a big fan of peppermint essential oils, this body soother seems to be made for me! Okay, this was one of those products that seems silly at first and the more you think about it, the more brilliant it seems. As someone with a very large pup, it is important I keep anything important out of her reach. Can you think of anything worse than a make-up covered pup? To keep your brushes out of the reach of animals and children alike, you just stick this up on the mirror and you are good to go! This was one of those products thought was a bit neat. I hate when my skin is shiny, especially during very humid days. All you do is rub your face with one of these tissues and your face looks even and smooth. 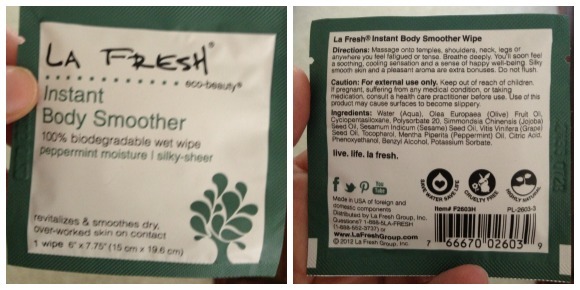 Great to use before makeup or the days you want your skin to look smooth when you go a la natural. I'll be honest, I rarely use a lip pencil, so this product was a bit wasted on me. I gave it a quick try though and found that it was very easy to apply. The makeup also wasn't so soft it was difficult to work with, which is one of the main reasons I usually avoid these pencils. 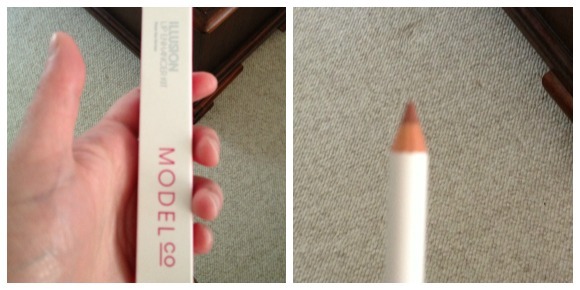 I really liked too that it was a nice, neutral color, allowing me to use this pencil with any shade of lipstick. Okay, I am one of those girls who loves organic and all natural makeup. While I had never heard of Brazen before this box, I had a feeling I was going to love it when I saw it was organic. The feel of the eye shadow was very light and I thought it was very easy to apply. I know I will be looking into the brand a bit more after receiving this product! So far, I have to say I'm impressed with the Beauty Box 5. The products seem to be high quality and work fairly well. My only complaint is that the sample sizes are a bit small. Overall though, I think it's a great box and seems like a great deal at $12 a month. I know I have spent much more than that when I went out experimenting with makeup and different related products. For this reason, I can happily give this box an A rating. To learn more about the Beauty Box 5 or to subscribe, make sure to check out the Beauty Box 5 website. 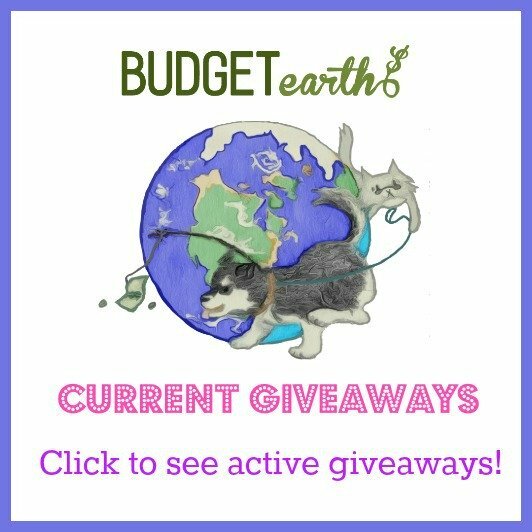 Disclosure: Budget Earth did not receive monetary compensation for this review, but did receive a Beauty Box 5 subscription box for review purposes. All of the opinions on this blog are the opinions of said author and these opinions may differ from your own. I have been seeing these boxes pop up everywhere… it's honestly really tempting… it would just be nice to get a taste of different products without commiting to much! But back to the box… the body smoother sounds heavenly… I love peppermint! These boxes are a great way to learn about different products. I'm looking forward to trying one sometime! $12 is a great deal, and I think based on your review that the box is worth it. A nice gift to yourself every month without breaking the bank. Never heard of them yet. It's a great concept to try products out first. Hate buying a big bottle of something that doesn't work out. And typically make-up is expensive! I have been really wanting to try one of these box subscriptions but was too scared to test it out lol, thanks for showing us what is in them without us having to but them ourselves for the first time. This seems like it would be a good subscription for my wife. Thanks, I'll keep it in mind for a present. The beauty box looks interesting and worth checking out sometime. I have not really used any type of this stuff in a long time, mainly because I am a SAHM and really don't have time with everyone's appointments to thinkg about making mom look nice lol. This would be great for pampering myself. Everyone feels better when they take care of themselves. Thanks for the great review! I honestly am not a girly girl either and feel overwhelmed in the make up isle of stores. One of these boxes would be really nice to try.